Previous PostPrevious 990. What do the seven interossei muscles do? innervation? / Which is more commonly lacerated, the FDP or the FDS? 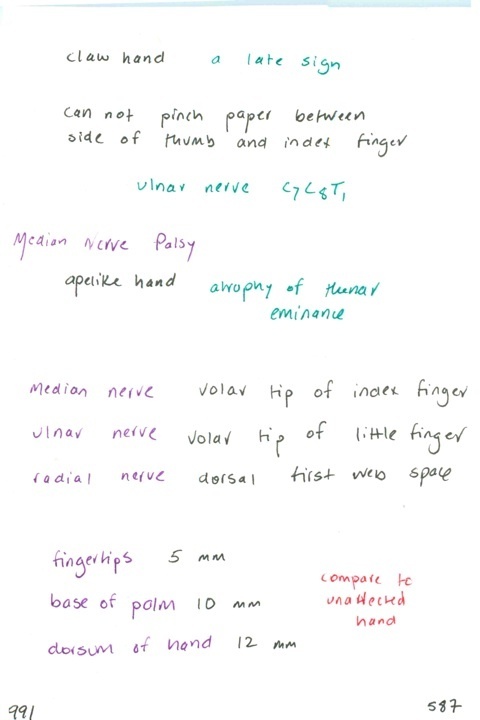 / Nerve root testing: C5 C6 C7 C8 / Which intrinsic muscles of the hand are innervated by the radial nerve? / Radial nerve palsy causes what clinical syndrome?